I wish I'd read this Aeon article on the metaphysics of pregnancy on time to include the topic it raises in my book, The Philosophical Parent. 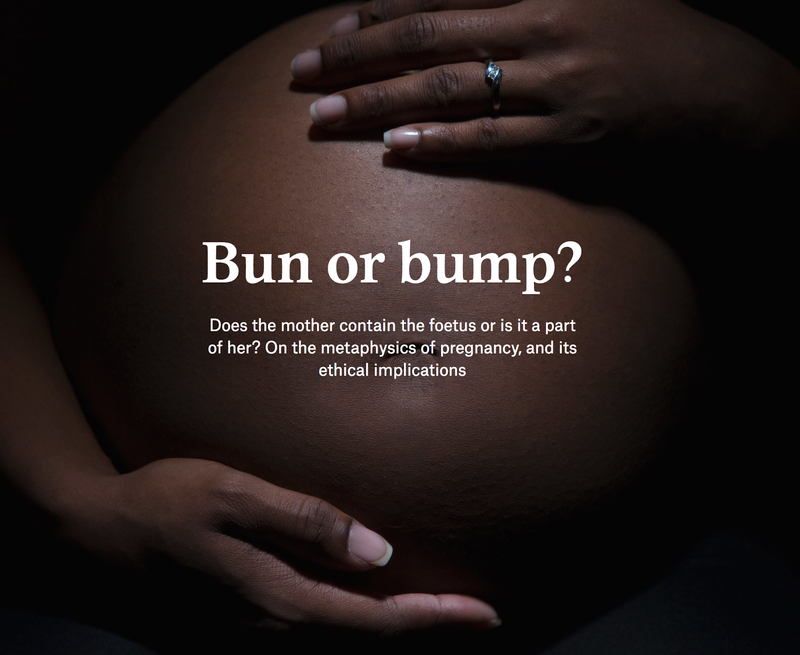 Suki Finn asks a great question, which is explored in a forthcoming article in Mind by Elselijn Klingma: is a mother a container for her fetus or is the fetus part of her? They've definitely succeeded at two things: making the metaphysics of pregnancy seem fascinating and making the part view seem like at least a contender. Let's first list the possibilities, along with some sub-options. III. The parthood and container models are stated in such a way that they're mutually exclusive. That's because on the container model, the fetus is not a part, but rather "a distinct entity in its own right." Why not, though, contemplate an inclusive option? Could a fetus be both inside a container and a part of the mother? I don't see why not. Take a Russian doll. 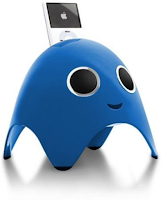 The innermost doll is contained by the outer dolls. 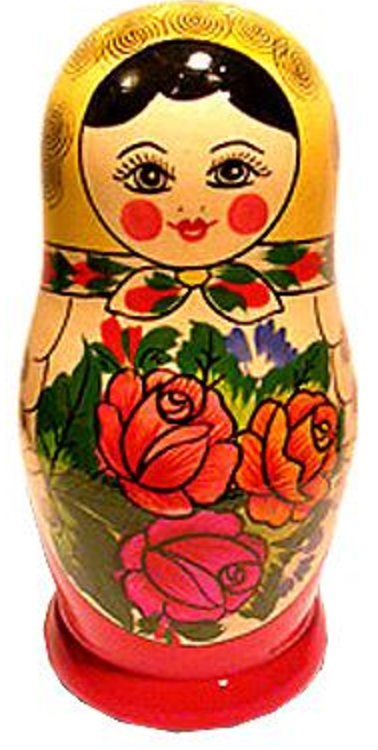 At the same time, the innermost doll is part of the Russian doll. If it's missing, the Russian doll is incomplete. The container model seems to be the received wisdom among philosophers, Finn and Klingma both say. In fact, I would say there's something a bit alien or even yucky about the notion of the fetus as a part of the mother. 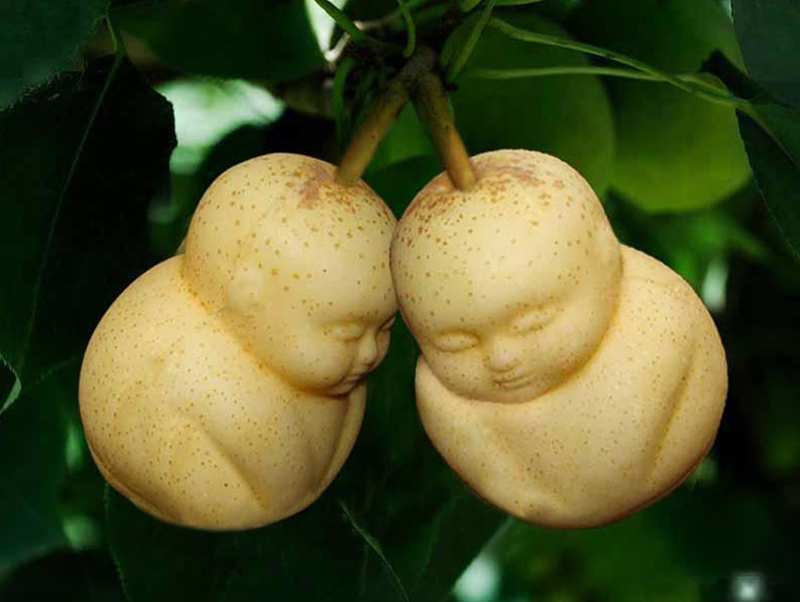 If fetuses grew on trees, we'd surely think of them as parts of trees (like apples are parts of trees). It's a little weird to think of a fetus as being even remotely like a pre-plucked piece of fruit. Why? Maybe that doesn't comport with what we see as the separateness and dignity of the baby-to-be. That dignity may not have to do with lofty notions like personhood and humanity. It might have to do with not-so-lofty notions of animalhood. At the level of sheer gut feelings, I also find it odd to think of a fetal kitten as a pre-plucked piece of fruit. But that's just a matter of initial gut feelings. There are also some serious worries about the possibility of a human being having a part that's a human being, or a cat having a part that's a cat. Finn discusses a puzzle about a person who's sitting in a chair, about to have a haircut. Is the person minus the hair that's about to be a cut a part of the person who still has her hair? 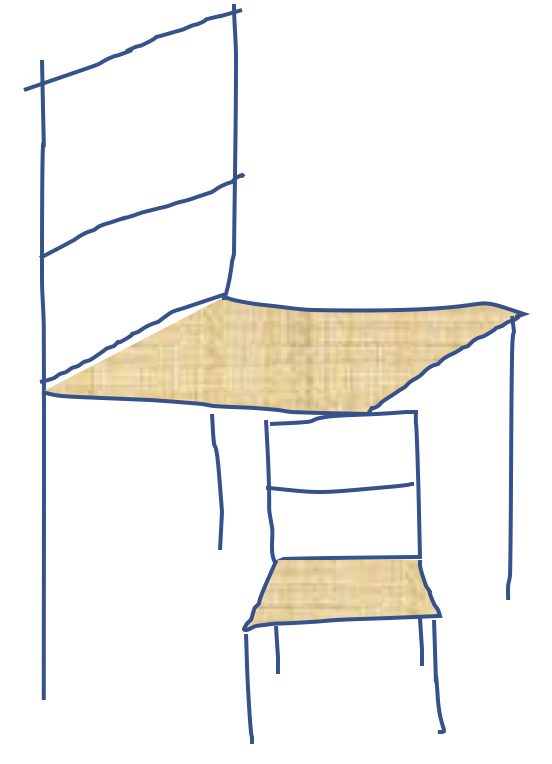 If so, there would be two persons sitting in the chair, which is absurd. We can rule that out by postulating a "maximality principle": a whole of a certain kind can't have a part of the same kind. But that will stop a fetus, assuming it's a human being (at least at some point in gestation) from being a part of its mother. 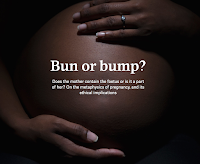 I agree with Klingma (in the Mind article) that it seems odd to postulate the maximality principle in order to solve the haircut problem, and then apply it to the very different circumstance of pregnancy. It's also true that we can easily think of things of kind K that clearly do have parts of kind K. See picture on right. All in all, I think Finn and Klingma make a convincing case that parthood is a contender. I still think, though, that the container model (option II) is a contender. There are a lot of features that make a fetus appear to be an entity distinct from the mother, and contained by her uterus, which is contained in her body. I don't see why its connection to her, through the umbilical cord, and its total dependence on her throughout most of gestation, must make it a part of her. Think ipod in dock or brain in vat. I'm pulled in both directions, which I think counts as success for Finn and Klingma. They have at least succeeded in making their case that there are two models worthy of consideration here, and not just one.